Is it outrageous to expect comfort and protection both from a work boot? No. These Timberland PRO Men's 85516 Internal Met Guard EH Black Steel Toe Boots have multiple features that ensure both your comfort and safety. These black boots were made using Timberland P ... (see full details) (see specifications) #TMBTB085516214. Is it outrageous to expect comfort and protection both from a work boot? No. These Timberland PRO Men's 85516 Internal Met Guard EH Black Steel Toe Boots have multiple features that ensure both your comfort and safety. These black boots were made using Timberland PRO's 24/7 Comfort Suspension System that supports the arches and reduces foot fatigue. The black full-grain oiled leather uppers on these lace-up EH Boots is durable and sturdy with an Ever-Guard toe bumper that has tough spark-resistant Kevlar stitching. And they have a fully padded collar to discourage uncomfortable rubbing or abrasion around the tender ankle area. Inside these Timberland PRO boots you'll find more comfort and protection, just what working people need. The contoured open-cell polyurethane footbeds cushion feet while supporting them. The steel shank adds further support to weary arches. The antimicrobial Cambrelle lining will keep feet dry and bacteria-free through wicking moisture away from feet. Feet are kept cool and cushioned with sturdy support in these heat-resistant boots. For maximum protection against impact these antimicrobial boots have internal anatomically contoured metatarsal guards and ASTM-approved TiTAN shaped steel toes. The met guards are made of open-cell polyurethane and rubber. The special shape and spacing of these add to your comfort, while not compromising your safety. DuPont Kevlar Aramid stitching on the welt is used with a Goodyear welt construction of the sole for durability and heat resistance. This stitching is also used on the uppers of these internal metatarsal boots. The soles can be repaired or replaced if necessary, extending the life of your abrasion-resistant boots. 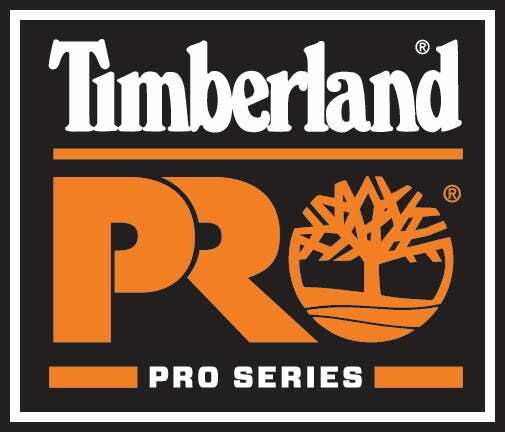 These Timberland PRO rubber outsoles with internal polyurethane comfort zones are heat-, slip-, oil-, and abrasion-resistant. So the answer is…yes, you can have both safety and comfort all in one. Timberland PRO 85516 Internal Met Guard EH Black Steel Toe Men's Boots will protect you from injury while pampering you with comfort throughout your workday. Get yourself a pair today and begin to enjoy the benefits of a great pair of work boots. Timberland PRO Boots: Men's 85516 Internal Met Guard EH Steel Toe Boots is being added to your cart.